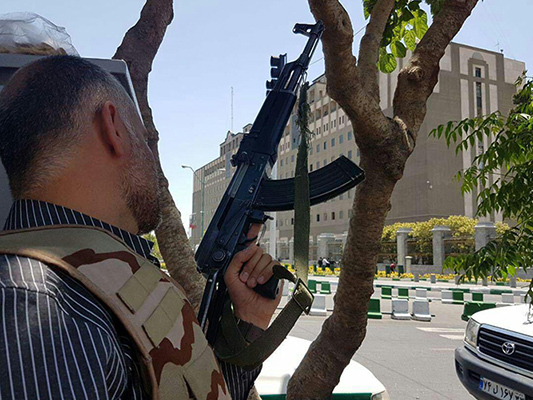 A security guard and a citizen have been killed in a shooting at the Iranian parliament and a suicide attack on Imam Khomeini Mausoleum, according to media reports. 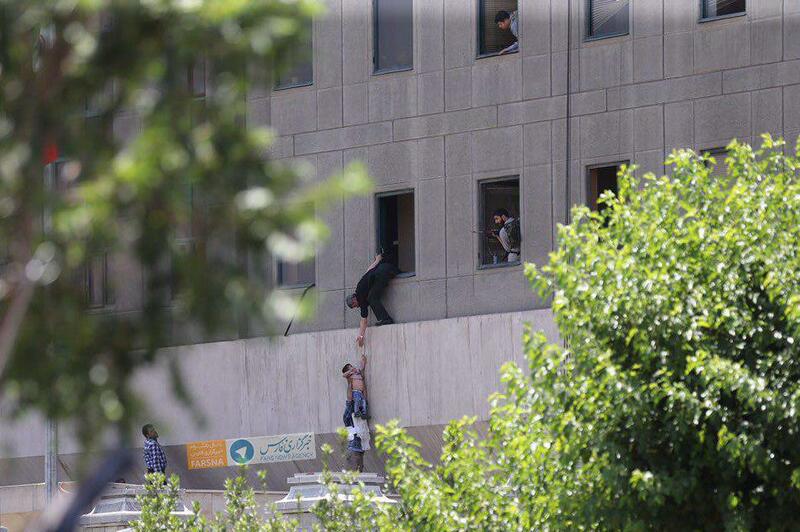 On Wednesday, four armed men stormed the Iranian parliament building, killing at least one security guard and injuring 7 other people, according to Iranian media reports. 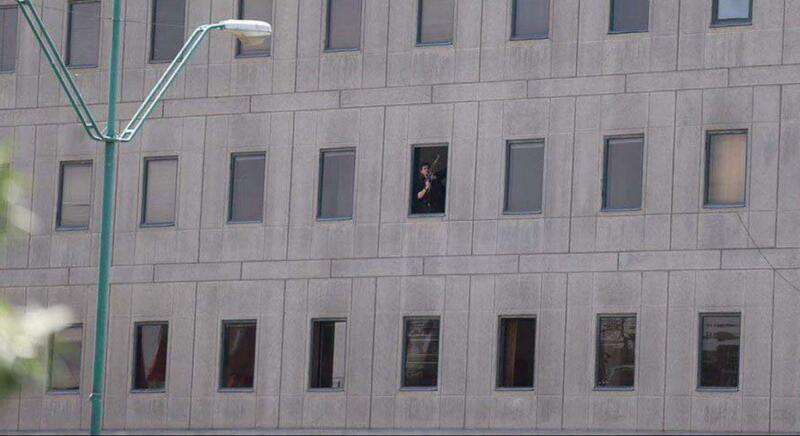 Fars News agency reports that one of the shooters attempted to escape the building but was captured. The assault has forced a lockdown on the legislature. An MP has said that the assailants were still inside the Parliament, armed with two Kalashnikovs and a handgun. Witnesses say security forces had massed inside and outside parliament. In another incident, three gunmen opened fire at the Mausoleum of Imam Khomeini, the founder of Islamic Republic, in southern Tehran wounding a number of people, Fars news agency reports. The Mehr News Agency said at least five people have been shot, though the details remain limited. According to ILNA, one of the assailants has been shot dead, one has detonated her vest, and another has been arrested before killing oneself by taking cyanide. Reports say a suicide bomber’s vest has also been found and deactivated around the mausoleum. The identity and motivation of the attackers is still unclear and it is not yet clear if the two incidents are linked. 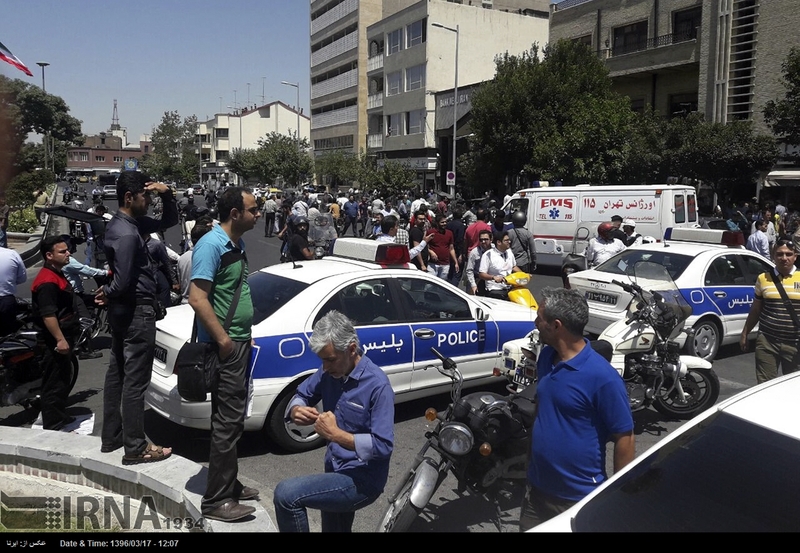 An attacker has reportedly blown himself up in the fourth floor of Iran’s Parliament. The casualties have not been reported yet. The suicide vest belonging to one of the terrorists in Imam Khomeini Mausoleum has been defused. Witnesses say security forces had massed inside and outside parliament while a suicide bomber blew himself up in the parliament building. Mehr also reported that attackers in the fourth floor of the Parliament have opened fire on people in the street, killing 2 and wounding 8. There are conflicting reports on the number of those lost their lives. Iran’s Intelligence Ministry in a statement strongly advised citizens against using crowded transportation services like subway. Several officials, including the Commander of the Islamic Revolution Guards Corps (IRGC) Major General Mohammad Ali Jafari, the Lieutenant Commander of IRGC Brigadier General Hossein Salami, the Spokesman for Iran’s Armed Forces Brigadier General Massoud Jazayeri, and Tehran Prosecutor General Abbas Jafari Dolatabadi, are present at the Parliament.